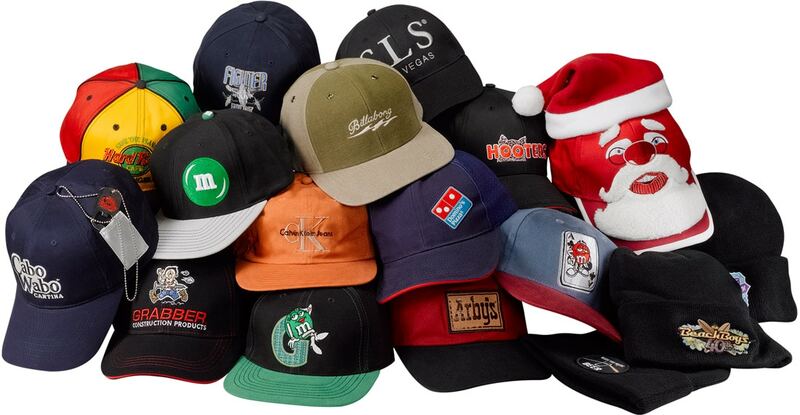 OK….you asked for it…since 1985, we have manufactured/imported some pretty cool hats in our day. As the originator of the retail low-crown ball cap in the 80’s, we have been on “top” for years! Embellishments include Embroidery, Applique, Screen-printing, Monster logos, NailHeads/Rhinestones, Discharge inks and more! Don’t forget Beanies! With over 32 fabrics and 360 colors, let us outperform all cap makers. With pure innovation, aggressive pricing, and critical deliveries, your cap needs are solved. Ask about our custom fiber optic hats. Choose from snapbacks, self-material adjusters, elastic, velcro, suede bills, and more. Enter in your product information below, and we will have a quote for Private Label Headwear to you within 24 hours. It's that simple!